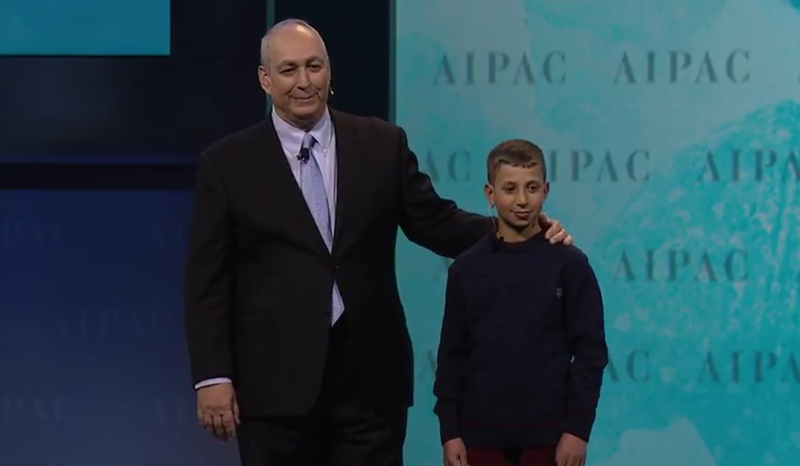 AIPAC began its annual Policy Conference today with moving remarks by Chemi Peres and Yousef Qaraja, a 12-year-old Palestinian boy who was born with a heart defect and treated through a healthcare program that was initiated by President Shimon Peres and works to save children's lives. Qaraja: "For me and for my friend Shimon Peres- continue working toward peace"
Students from Israel's College of Law and Business (CLB) in Ramat Gan have won the International Chamber of Commerce's Mediation Competition. 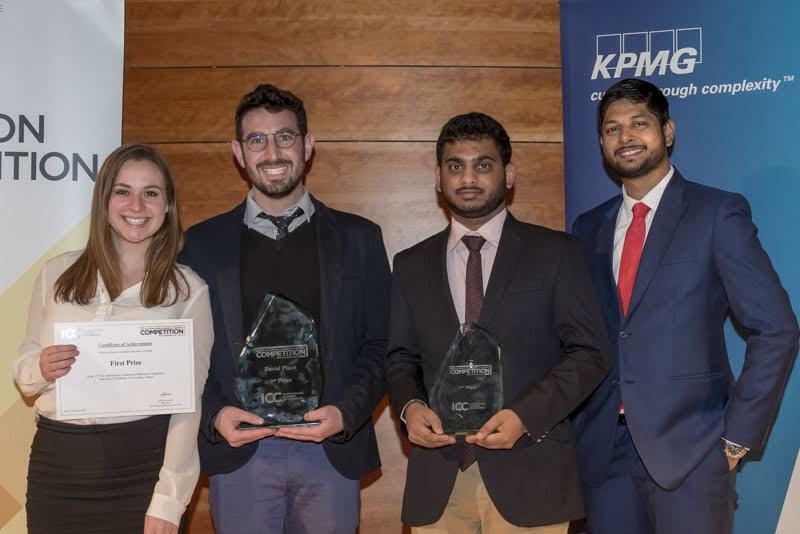 Students from Israel's College of Law and Business (CLB) in Ramat Gan have won the International Chamber of Commerce's Mediation Competition, which was held in Paris last week. This is the world's foremost competition on the subjects of business arbitration and dispute resolution. JERUSALEM, ISRAEL – Some 27,000 immigrants arrived in Israel in 2016, according to estimates by The Jewish Agency for Israel and the Ministry of Aliyah and Immigrant Absorption, compared to the 31,000 who arrived in 2015. Aliyah (immigration to Israel) from Russia and Brazil rose significantly over the past year, while immigration from France and Ukraine dipped. The data released today is preliminary but offers solid indications of Aliyah trends for the past year. The final statistics will be made available mid-January, as they are every year. Some 7,000 immigrants arrived in Israel from Russia, which topped the Aliyah chart in 2016, compared to 6,600 who arrived in 2015. Approximately 5,500 immigrants arrived from Ukraine, compared to the 7,221 who came last year. An estimated 5,000 new immigrants came from France, compared to 7,900 in 2015. Aliyah from the United States hit 2,900 immigrants, compared to 3,070 last year. These four leading sources of Aliyah also led the list in 2015 and 2014, although France—which led the chart in recent years—has slipped to third place. Aliyah from Brazil increased significantly, with the arrival of some 760 new immigrants this year, compared to 497 in 2015. 620 immigrants arrived from Belarus (compared to 600 last year), 650 from the United Kingdom (775), and 272 from South Africa (236). Immigration to Israel has come to be characterized by youth: approximately 5,150 of the new immigrants were 17 or under, 9,500 were between the ages of 18 and 35, 3,000 were between 36 and 45, 4,600 were between 46 and 65, and just over 3,000 were 66 or older. Most of the new arrivals have professional backgrounds in industry, construction, and food services (some 5,000 individuals in total), high tech and engineering (2,400), the humanities and social sciences (1,900), medical and paramedical fields (1,150), and accounting and law (1,080). 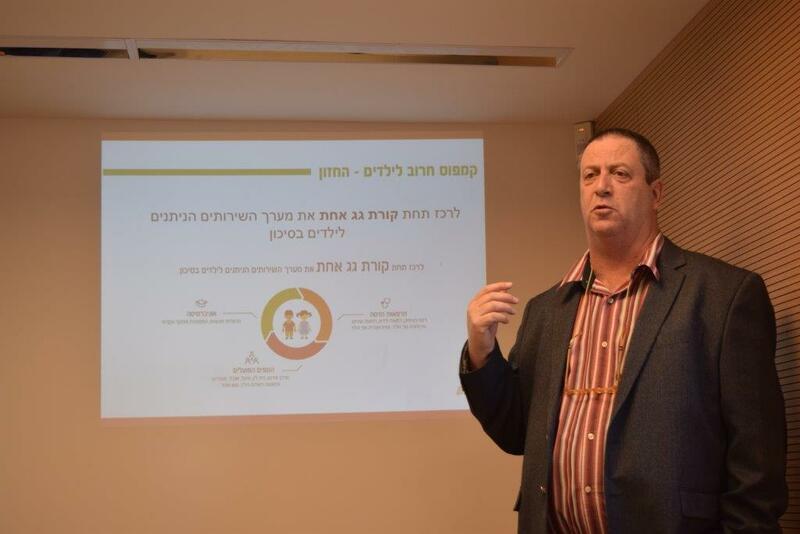 11% of the immigrants decided to make Tel Aviv their new home, while 10% moved to Jerusalem, 9% to Netanya, 8% to Haifa, 6% to Ashdod, 5% to Bat Yam, 4% to Ra’anana, 3% to Rishon LeZion, 3% to Be’er Sheva, and 3% to Ashkelon. 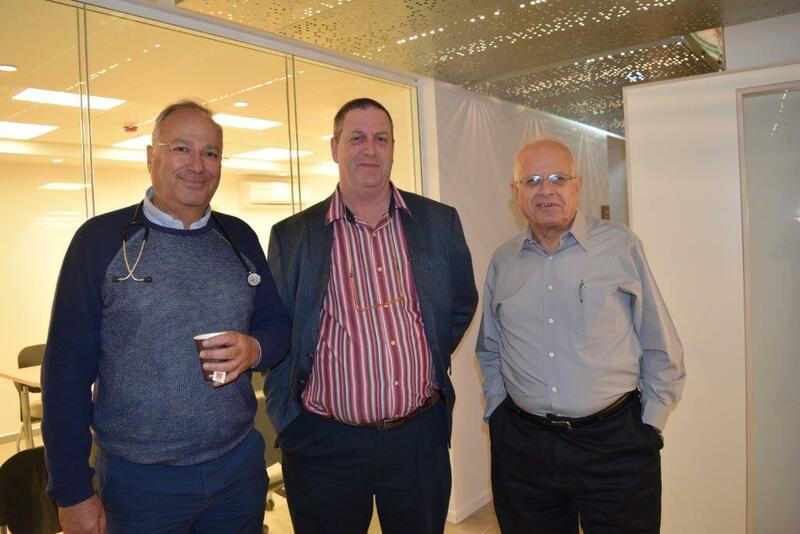 The Haruv Children’s Campus is now opening in Jerusalem, the first center of its kind for treating child victims of abuse and neglect that brings together all the professional workers and required services unto one location, which will significantly alleviate the therapeutic process for maltreated children. The phenomenon of child abuse and neglect is a harsh reality, with 40,000 cases of child maltreatment reported annually in Israel. A study done at Haifa University, published last year, presents a far bleaker picture and indicates that nearly half of all Israeli children have endured violence or abuse in the course their lives. The Haruv Children’s Campus, located at Mt. Scopus, adjacent to the Hadassah Hospital and Hebrew University, will serve maltreated children, victims of abuse and neglect, by addressing their needs comprehensively, in the aim to empower the care currently provided, by partnering up with all the leading organizations that provide treatment for these children. The campus brings together the entire range of professional workers and services: the Schusterman Emergency Center, the Center for Protection of the Child (Beit-Lynn), a treatment center for child victims of sexual abuse (Meital), the National Council for the Child, the SHEKEL Therapeutic Treatment Unit, Maavarim – Jerusalem Center for Family and Marriage Counselling, MSR - the Center for Social Simulation, and the Goshen Initiative. Additionally, community-based advocacy services will be offered, as well as clinical and treatment services provided by physicians, psychiatrists, psychologists, lawyers, social workers and occupational therapists. In the past, many professionals raised the issue of a systemic failure to identify child victims of maltreatment. One reason was the difficulty encountered in consistently transmitting and sharing information between the children’s various care-givers, who were also frequently bound by confidentiality and secrecy in their contact with the children, a fact that hindered providing more effective help to the children and their parents. An inter-ministerial committee, established following the murder of the little girl, Rose Pizem, emphasized the need for developing innovative strategies of collaboration between professionals to enable early detection and prevention of child abuse and neglect. Much thought was invested in the planning and design of the campus, taking into consideration the needs of the children and their families. Throughout the campus calming elements have been introduced, such as water, pastoral greenery, play areas created from natural materials and seating areas in warm, pleasant colors. 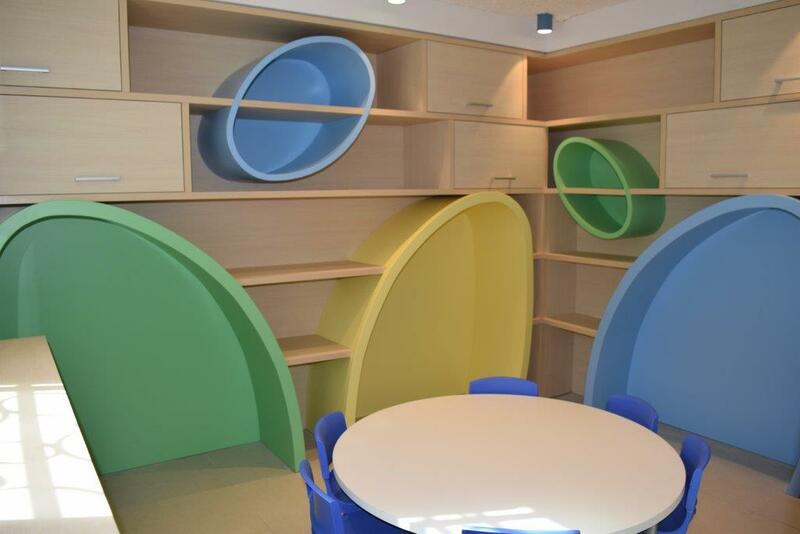 The interior spaces have colorful play rooms, work areas that provide privacy, and a school and kindergarten for children at the emergency center. (22 December 2016 – Jerusalem) For the first time, over 200 Jewish day-school principals, headmasters and senior Jewish Studies educators, from 34 countries and six continents around the world, will be gathering at the Yad Vashem International School for Holocaust Studies for a four-day conference, entitled "The Shoah and Jewish Identity: Challenges in Jewish Education." The international conference will be the largest and most prestigious gathering of leaders in Jewish education from some 25% of all Jewish day schools worldwide. Throughout the course of the conference, leading experts from Yad Vashem will present its unique and cutting-edge pedagogical approaches relating to Holocaust education. Israel's Minister of Education and Minister of Diaspora Affairs Naftali Bennett will address the conference plenary regarding the timely topic of Jewish Identity: Challenges of in the Diaspora. At the conclusion of the conference, Chairman of the Jewish Agency for Israel Natan Sharansky will speak on the topic of the Jewish People, Israel and Memory of the Shoah. Over 40 leading experts in Holocaust commemoration, documentation and education will be presenting at the conference, including: Chairman of Yad Vashem Avner Shalev; Pedagogical Director of the International School for Holocaust Studies and Fred Hillman Chair of Holocaust Documentation Shulamit Imber; Director of the International Institute for Holocaust Research Dr. Iael Nidam Orvietto; and Director of the Yad Vashem Archives Division and Fred Hillman Chair for Holocaust Documentation Dr. Haim Gertner. Yad Vashem Academic Advisor and world-renowned Holocaust expert Prof. Yehuda Bauer will speak about the effects of the Shoah on Jewish communities in Europe before, during and immediately following the Shoah, illustrating how in some instances Jewish life and identity was preserved while in others it completely broke down. There will also be a session dedicated to the memory of the late Holocaust survivor and Nobel Peace Laureate Prof. Elie Wiesel. As the conference is taking place during the holiday of Hanukah, each evening a celebratory Hanukah candle-lighting ceremony will be held, using authentic Hanukiot (menorahs) that survived the Holocaust. World-renowned Holocaust survivor and Chairman of the Yad Vashem Council Rabbi Israel Meir Lau will light the Hanukah candles on the first evening of the conference, 26 December 2016. The final day of the conference will feature leading Jewish students from various college campuses from around the world, discussing contemporary issues of antisemitism and the challenges faced in this volatile arena. Rabbi Lord Jonathan Sacks, former Chief Rabbi of United Hebrew Congregations of the Commonwealth, will also be addressing the conference via video on this subject. Lily Safra Chair of Holocaust Education and Director of the International School for Holocaust Studies Dr. Eyal Kaminka reflected on the importance of this conference: "Yad Vashem is establishing the framework for educating future generations on the history of the Shoah and how it relates to our current Jewish identity. 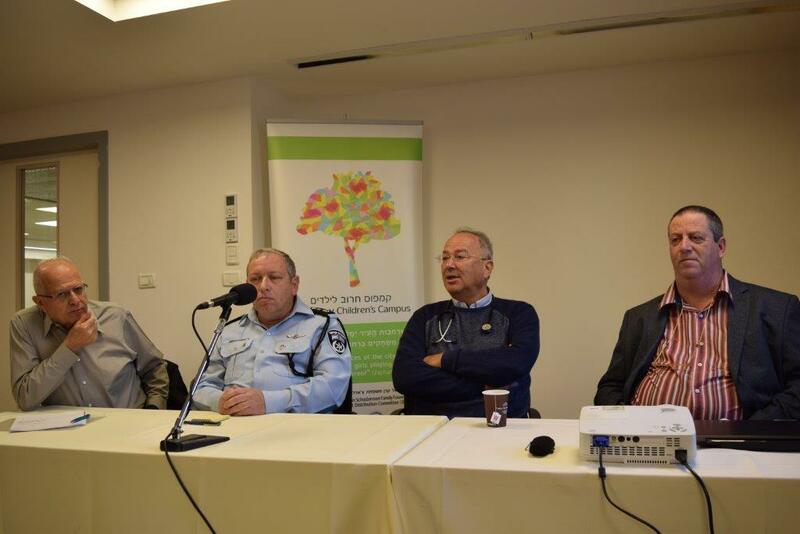 This is a challenge for all Jews around the globe, which is why it is so important that so many educators from Jewish day schools are coming together here, at the International School for Holocaust Studies, to be part of this discussion." "Never before has there been as comprehensive a discussion of this type and at this level," explains conference organizer Ephraim Kaye, Director of the Jewish World and International Seminars Department at the International School for Holocaust Studies. "The goals of the conference are to explore how Jewish schools around the world are teaching the Shoah today, in what ways Yad Vashem can assist in the process, and the future of Holocaust Studies in the greater Jewish community." The main plenary proceedings of the conference will take place in English with simultaneous translation in Spanish, French and Russian. The panel deliberations, roundtable discussions and workshops will be conducted in various languages, some also with simultaneous translation. Since the creation of the International School over 20 years ago, Yad Vashem has been leading the way in developing and disseminating tools to effectively educate the public about the history of the Holocaust. The International School conducts over 70 teacher-training seminars for educators from around the world every year, providing them with the necessary tools to teach the history of the Holocaust to their pupils. Among other topics to be presented at this conference are Jewish identity vis-à-vis the Holocaust, the challenges of modern-day antisemitism on campuses, and informal teaching methods, such as trips to Poland and community-based education. The International Conference is made possible by the generous support of the Asper Foundation, the Adelson Family Foundation, the Conference on Jewish Material Claims Against Germany, the Genesis Philanthropy Group and the Israel Ministry of Diaspora Affairs. The International School for Holocaust Studies at Yad Vashem serves as a world center for Holocaust education, attracting students and educators from around the globe. Each year, the International School engages with more than 300,000 Israeli students and soldiers, as well as thousands of educators and students from Israel and abroad. Guided by its unique pedagogical philosophy, the International School continually develops educational materials, cutting-edge online pedagogical tools and teacher-training activities in order to create tailor-made programs suitable for different age groups and classrooms in over 60 countries. Now Available in Israel: American Beef! For the first time in over 20 years, American kosher beef is available for Israeli consumers.